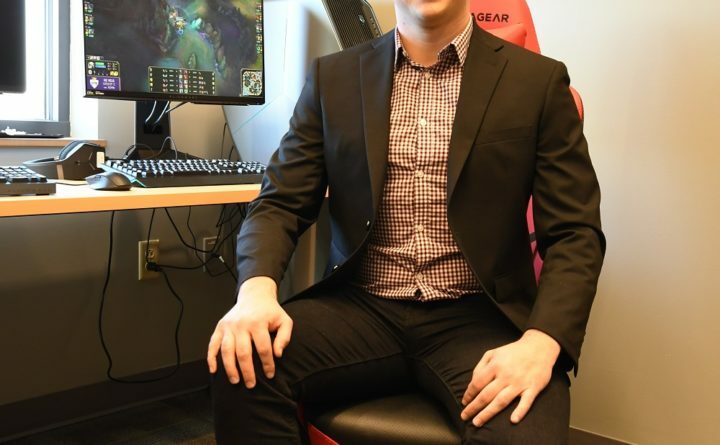 WATERVILLE — Thomas College eSports is excited to announce the hiring of ex-World of Warcraft pro Martin “Anderzz” Schelasin to spearhead their new program. Thomas College announced its launch of the one of the first varsity eSports programs in New England in October. Tournaments begin this month. Born in Vermont but a nearly life-long Mainer, Schelasin comes from a storied background in esports. While still attending Scarborough High School just outside Portland, Schelasin began converting a long-held passion for video games into a voraciously pursued outlet for his competitive drive. Within a year of serious competition, he achieved Top 10 rankings in both the 3v3 and 5v5 formats of World of Warcraft Arena. Shortly thereafter in 2009, Schelasin was sponsored to compete in WoW on an international level. Jumping forward, after graduating from high school, Martin began his first two years of university at Southern Maine Community College. At that time, he began developing a fan site for his game of choice: League of Legends. The resulting website and organization, Cloak ‘n Dagger Gaming, quickly became the leading online resource for the 3v3 format of League. After running CnD for just under a year and in preemption of transitioning to a 4-year school, Schelasin liquidated CnD and its assets negotiating a sale of all its content to one of the largest organizations in the industry. After the sale of CnD, Schelasin transitioned his focus to academics at the University of Southern Maine. While studying there, he self-taught foreign currency trading and, harkening back to his roots, found himself back in online competition. In 2015, Schelasin achieved first place out of over 215,000 global competitors in the Investopedia ForEx Tradition Challenge which tests competitors’ currency trading abilities against live numbers with simulated portfolios. At the same time, in his formal studies, Schelasin learned the complex systems simulation technique of System Dynamics. In 2016, Schelasin’s capstone project using that technique, an operational analysis of a business incubator co-authored with his professor, was selected for publication by the International System Dynamics Society and was presented by Martin at the society’s annual conference in Delft, Netherlands. After graduating, Schelasin began working as an analyst with a Portland-based family-office private equity firm. After two years of work with that firm, Schelasin was increasingly drawn back to his lifelong passion of esports. At that point, in Spring 2018, Schelasin co-founded an esport-focused start-up, I/O Energy, while looking for other opportunities in the field, ultimately taking an immense interest in launching the brand-new program at Thomas. Schelasin will be working with prospective players for Thomas’ teams through winter break to begin competing early in 2019 across multiple games and platforms. For more information on Thomas College eSports visit www.thomas.edu/esports/.